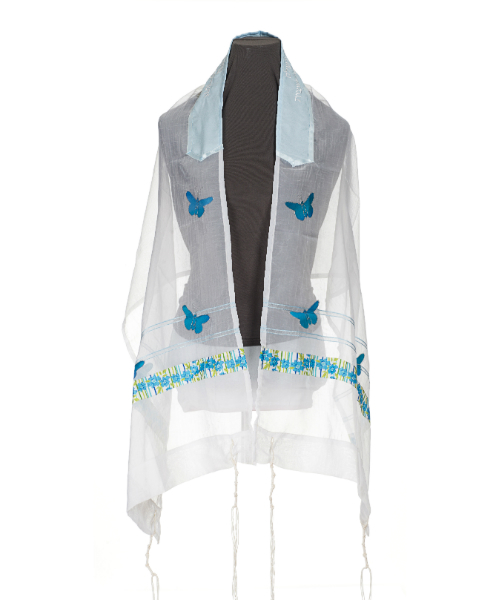 A stunning design of Women's tallit prayer shawl, this gorgeous voile tallit is decorated with teal flowers and butterflies. A wonderful way to pray with inspiration. This gorgeous sheer Galilee Silks tallit is a beautiful design for women. With teal elements , it is made of voile, almost transparent polyester, and is beautiful and comfortable for prayers year round. 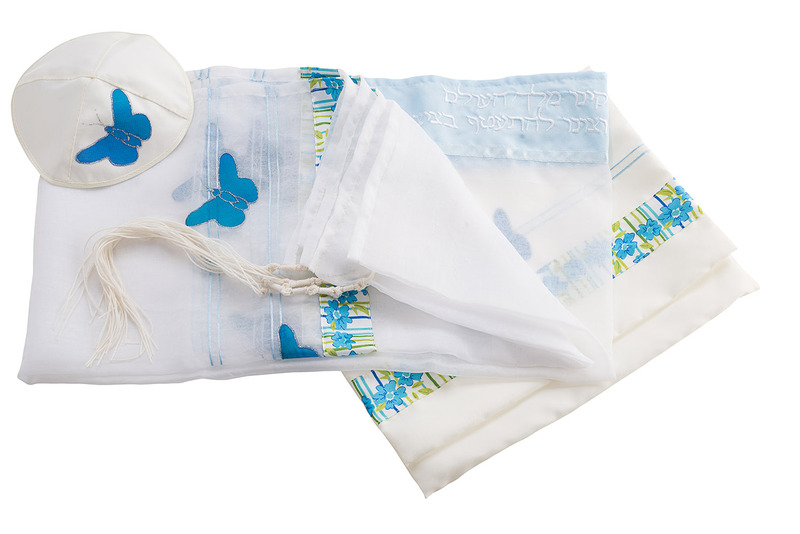 A classy design, this Woman's tallit prayer shawl is perfect for a Bat Mitzvah, a wedding, a holiday, or simply to inspire more motivated prayer any time of year. The shades of teal decorating the women's tallit complete the look, which is simple but elegant.